AFC Ajax made a roaring comeback against Real Madrid C.F in the second leg of the Round of 16 in the UEFA Champions League. The holders made a surprising exit from the competition as they saw their season go down in ruins after losing 1-4 to Ajax. The game had everything to offer. It had stunning goals, beautiful gameplay, controversies, injuries and cards. 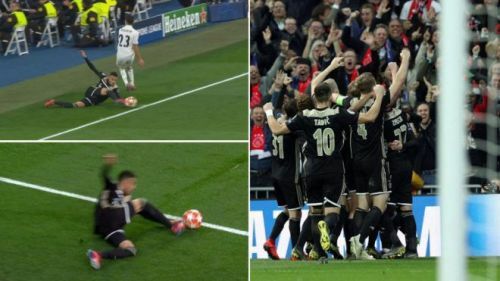 There was some controversy surrounding the third goal that Ajax scored against Real Madrid on Tuesday night around the 62' minute mark. There was doubt as to whether or not the ball had gone out in the build-up to Dusan Tadic's brilliant strike. The Video Assistant Referee (VAR) was called in to make a judgement and after a lengthy delay and watching various replays the goal stood. 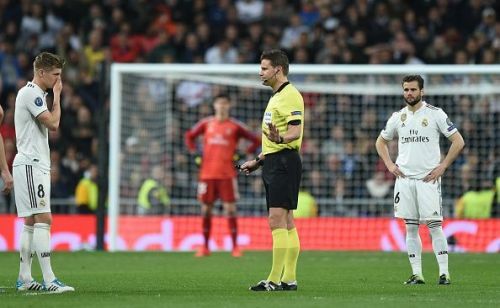 UEFA published a report explaining why the referee did not disallow Ajax’s third goal against Real Madrid even though the ball appeared to be out of bounds when the play was escalating. "There was no conclusive evidence that the ball would have been entirely out of play from all video angles and images that were carefully analysed by the VAR" UEFA have since said of the incident. "The assistant referee, who was perfectly positioned, had adjudged that the whole ball had not fully crossed the touchline. "No on-field review was therefore required. "Consequently, the referee was right not to intervene and to allow the goal." The goal came completely against the flow of the game as Real were pushing for a goal ever since the start of the second half in order to carve their way back into the tie. Ajax's third goal blew Madrid's hopes of defending their UCL title as three away goals meant Real needed 3 goals then to make it through to the quarterfinals. The third goal, had it not stood would have given Madrid a chance of fancying their chances as Marco Asensio scored later on in the game and that would have boosted the morale of this side by a mile. Madrid fans still don't believe the right decision was made as some angles made it clear that the ball was out of play but the VAR made a decision based on various angles and later on confirmed the ball was in play and had not crossed the line.